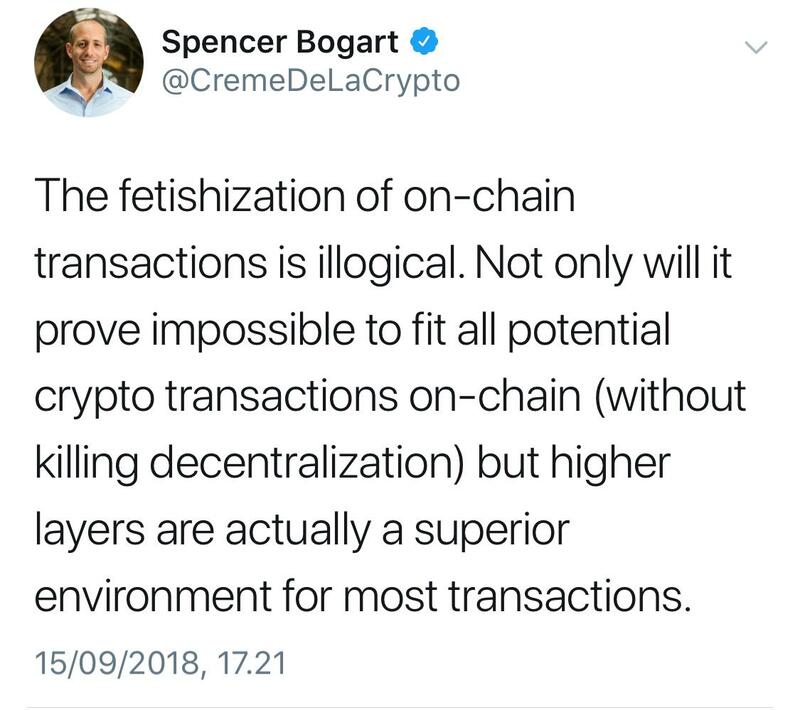 Blockstream investor: "The fetishization of on-chain transactions is illogical. […]"
In 2017, Lightning Labs investor and UASF supporter was concerned about cheap/free on-chain transaction. Luke Dashjr on Twitter – "If people are too poor for a full node, then they just can’t use bitcoin. " Peter Rizun: " LN coins have position-dependent value. The coin Bob holds with Carol is worth more than the coin he holds with Alice. The former coin he will likely spend; the latter he will likely not. If on-chain fees are $10, the coin with Alice is worth ~$10 less"